How to prepare game or fish is a question every hunter and angler faces, whether it’s in the field or back at the cabin. A new interactive application aims at making those preparation decisions a little easier. ChefMate, available on iTunes for $2.99, features 650 preloaded recipes for cooking or grilling fish, steak, chicken, ribs, duck, game hens, squab, sausage, shrimp, lobster, crab and other shell fish. The app boasts a broad “how to” section featuring instructions on everything from how to carve a turkey to creating shopping lists. For more information, visit ChefMateChefMate online. online.ChefMate online. 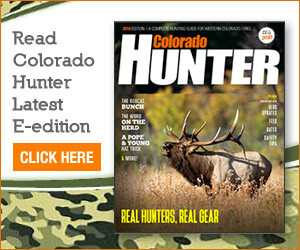 Contents of this site are © Copyright 2019 Colorado Hunter. All rights reserved.